There's more money in selling 'mobility' than just cars, but how? The popularity of car sharing — or more correctly, short-term rentals — shows that there's a market outside of the traditional ownership experience. Autonomous driving, for example, isn't necessarily about taking driving away from able individuals as much as it is about providing mobility for people who can't drive. And that's a huge market. Alicia Agius lives in a city so clogged with cars, it has instituted a penalty for driving. Set out anywhere in London, England's downtown congestion zone and you can expect a bill for 11.50 British pounds ($23.59 in Canadian funds) for each day you do so. Agius, project lead for Ford's GoDrive, a car-sharing experiment under way in the British capital, said the congestion charge portends what is expected to be an ever increasing trend in cities around the globe. She points to studies suggesting that soon 75 per cent of the world's population will live in cities. Along with that, demand for driver's licences by teenagers is dropping. One study, by the U.S. Centers for Disease Control, showed the percentage of U.S. high school seniors with driver's licences fell to 73 per cent in 2010 from 85 per cent in 1996. Research by Michael Sivak and Brandon Schoettle of the University of Michigan Transportation Research Institute is also telling: a survey of people aged 18-39 suggests that 21.5 percent of respondents who do not have a driver's licence today will never get one. Agius said these trends make it critical for carmakers to find other ways to make money in addition to selling cars. "The traditional automotive sector achieves around (US) $2.3 trillion a year and is growing; we (Ford) get about six per cent," Agius said. "The transportation products and services sector achieves around $5.4 trillion in revenue and we and the other carmakers get zero percent. "There is significant revenue growth opportunity and that's why being an automaker and mobility company makes business sense. We do not disclose specifics of our investments, but we are aggressively pursuing our share of this sector." Joanna McFarland is CEO of HopSkipDrive, a unique car-sharing service in Los Angeles, Calif., that caters to busy families whose children need to be driven places — school, sports practices, music lessons, etc. — while their parents are at work. She pointed to statistics showing car ownership in the United States is on the decline, down from an average of 2.3 cars per family to 1.8. "Carmakers should be thinking about all these trends and how that will impact car ownership," she said. 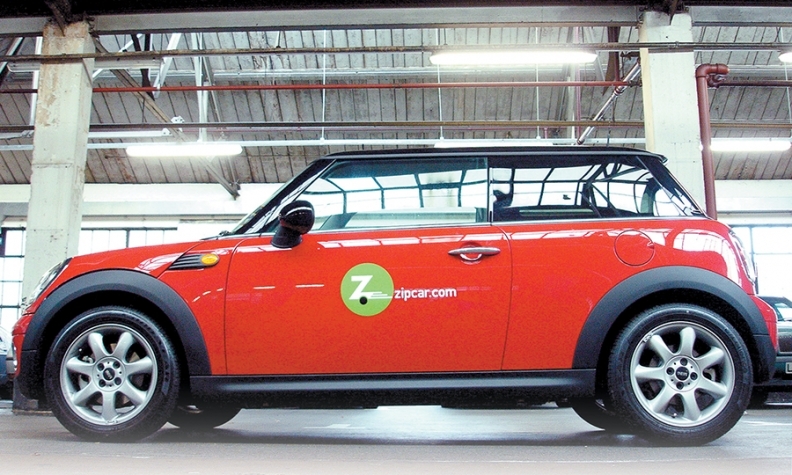 "Consumers will look more and more toward car-sharing and ride-sharing alternatives." Perhaps the most visible example of diversification comes from General Motors, which began OnStar as an integrated communications solution for GM customers. The company has since grown the brand into a profitable wholly owned subsidiary complete with OnStar-equipped replacement rearview mirrors that are growing the brand further by attracting owners of competing (non-GM) vehicles. Analysts have estimated OnStar revenues at about US $1.5 billion annually, with a 30 to 35 per cent profit margin, or about five times the margin of traditional vehicle sales. For Hyundai, such diversification was incorporated from the beginning. Not only does it build cars under the Hyundai and Kia brands, the Korean conglomerate has holdings across a vast array of segments, from shipping to steelmaking, heavy industry to hospitality, among others. It even has its own advertising agency. "From Hyundai's perspective, it's about trying to do things a bit better," Hyundai Auto Canada spokesman Chad Heard said. "Take Hyundai Steel, for instance. With steel, you can either buy off the shelf, or you can have your metallurgists and engineers working together. The structural rigidity, lightness, strength; it all comes forward in the development of the steel. "By having those two specialists work side-by-side, you end up with a better product at the end of the day." Innocean Worldwide is Hyundai's advertising agency. As a subsidiary, its primary focus is developing Hyundai messaging. But it's also a multi-million-dollar company in its own right. Like other companies in the group, it's always out hustling for new business. Vehicles account for 52 per cent of Hyundai's 2014 revenues of US $229 billion, but parts, steel, financial services, hospitality, advertising, construction, logistics and information technology make up the remaining 48 per cent. How's this for irony: most of Hyundai's Asian competitors ship their cars to North America on Hyundai ships.